Everyone loves Earl Grey, but we found a way to make it even better so that we can start every day with a tea blend that is truly luxurious with our earl grey creme (a.k.a vanilla earl grey ‘creamy’). We began with our absolute favorite black tea, Ceylon. 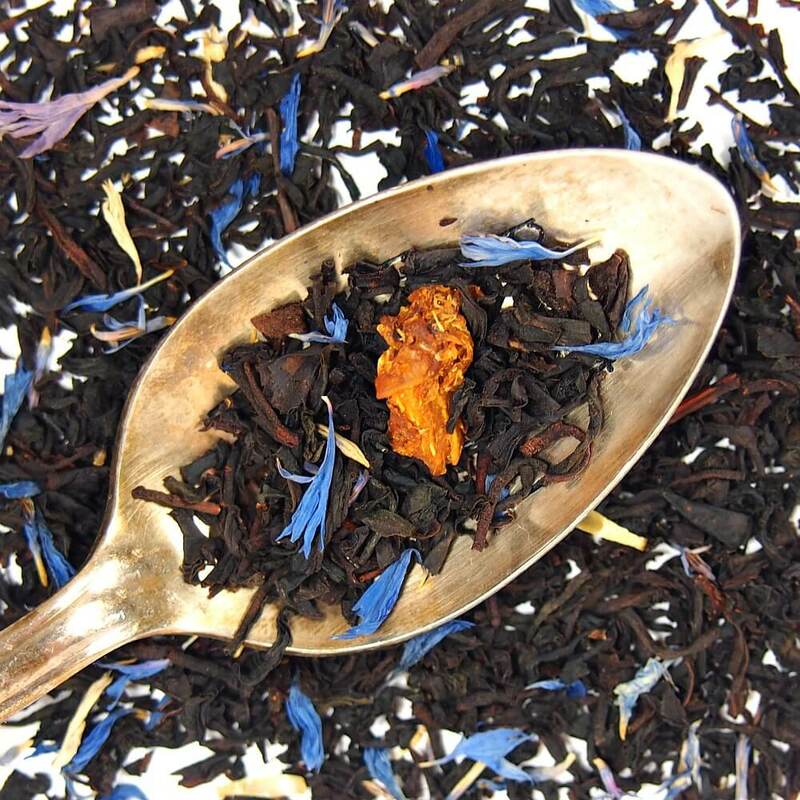 We then added a tiny pinch of vanilla, a bit of flavor and color with the cornflowers, and topped it off with lashings of the bergamot oil that makes Earl Grey so famous. The orange peels give it a final flavor boost. This reminds me of a tea I had when I was in London. 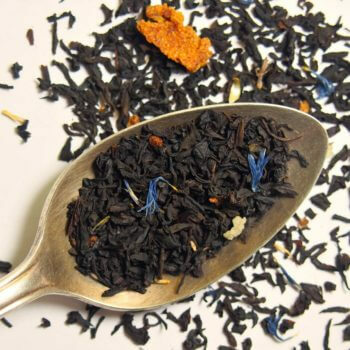 It has the bold Earl Grey and citrusy-bergamont flavors with a hint of sweetness from the vanilla. It is well balanced and absolutely delicious! 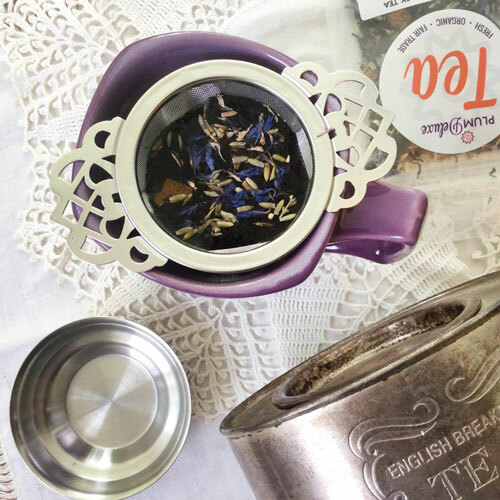 I love Earl Grey tea and I love the variety Plum Deluxe offers! 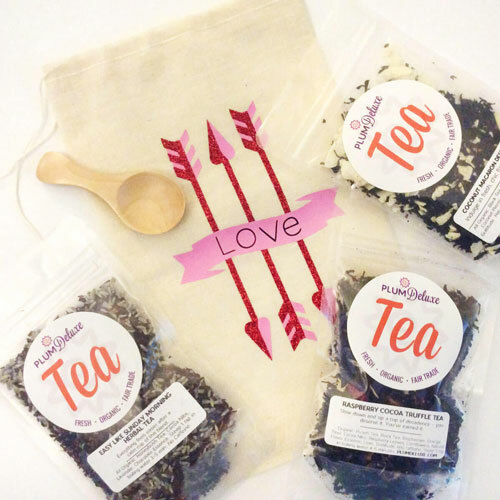 Having never been much of a flavored tea fan, I have to say they have changed my mind. The flavors are so fresh, never artificial tasting which is what was off putting in other brands! So glad I found them! My favorite tea, hands down, is Earl Grey. If all the Earl Greys I have tried, this is, by far, the best. Try it, you won't be disappointed! Really fresh and clean. Nice to wake up too?like a comforting hug first thing in the morning. I was surprised by the intensity of flavor, since a lot of Earl Greys I?ve tried in the past are a bit lacking on the tea side. 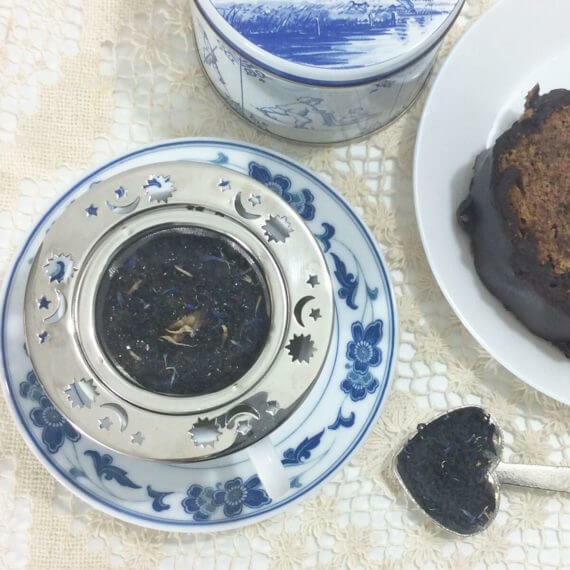 This is a bold black tea that brews strong even in small amounts. 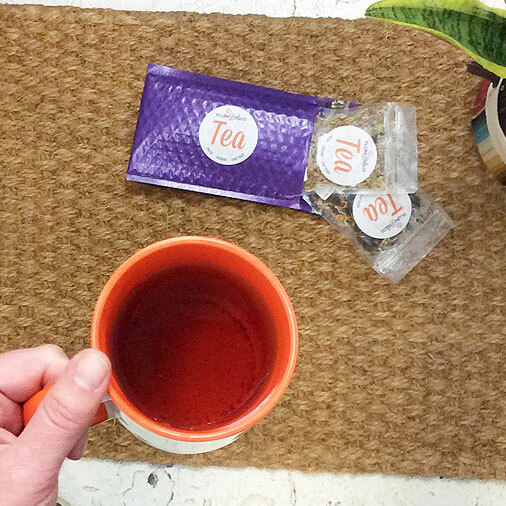 Unsweetened, the flavor of the tea is what stands out most. 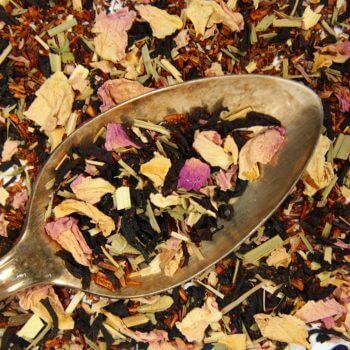 Adding a little rock sugar brings out the citrus, creating a tea that?s refreshing and perfect for a morning punch, somewhere other Earl Greys tend to fall short. But where this tea really shines is after the addition of just a splash of milk. Milk enhances the subtle vanilla flavor, creating a heavenly blend with just the right balance of full-bodied flavors. Preparation Instructions: Use 1 1/2 tsp per 16oz cup. Steep with boiling water for 3-5 minutes. 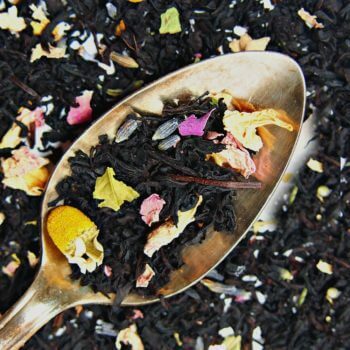 We suggest not over-steeping this one; because we use the freshest ingredients, you can steep your tea twice for a second cup. Suggested Uses: Enjoy straight up to brighten any morning or give you that early afternoon boost; also makes a fabulous latte or even cocktail. 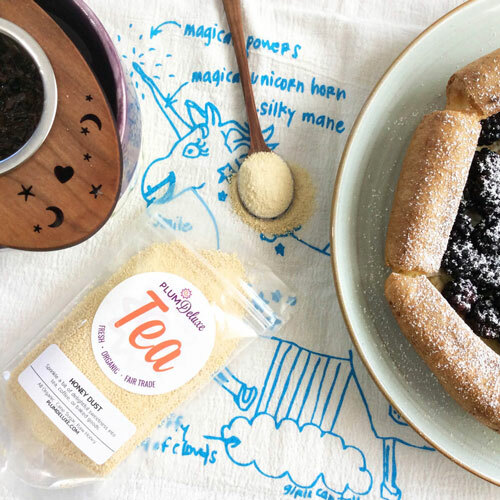 It is a nice pairing (and ingredient) if you're making our Earl Grey butter cookies, fudgey Earl Grey brownies, or panna cotta.